Should We Talk About Birth WISHES Rather Than Birth Plans? 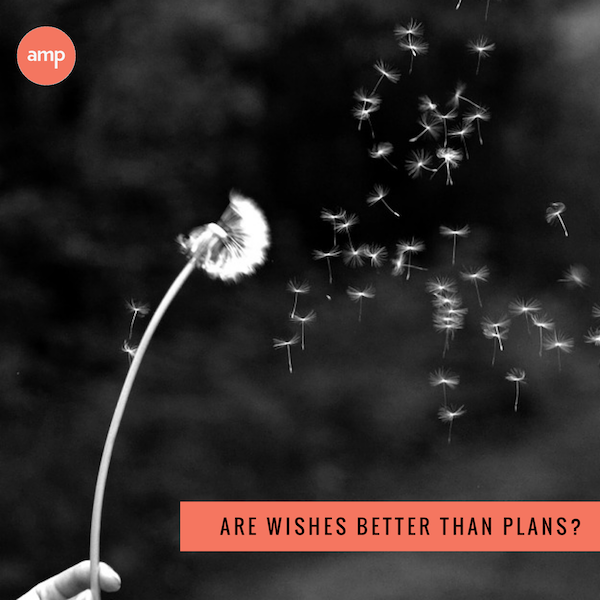 Do Birth Plans perpetuate unrealistic expectations? Do they encourage you to try and make plans for unplannable? Do Birth Plans set you up for a fall? Do they encourage you to state preferences for things that may not even be available to you? Is is a bit like asking someone to tell you what they want to eat, letting them really wax lyrical and salivate about Steak and Chips and Sticky Toffee Pudding with Custard and then just serving them a bowl of mung beans and an apple. What was the point in asking them??? They are going to be pissed off aren’t they? We feel that investing time in writing lengthy, detailed birth plans can contribute to a huge sense of failure or sadness if things do not go according to this plan and yet you have a beautiful healthy baby in your arms. Feeling like you have “failed” at giving birth is tragic and unfair. Noone should feel that they failed at something over which they didn’t even have full control. Should we just suggest that women express their “Birth Wishes” instead of writing a Birth Plan? Should we just ask women to jot down a few things that they might feel passionate about or worried about. I did not write a Birth Plan, but if I had written some Birth Wishes they would have been something like.. I have never had an operation and I am very worried about the idea of having a drip in my hand and I am worried I might faint when that happens. I would not like to have forceps but, if they need to be used then so be it. My husband thinks he would like to cut the cord but he may change his mind if he feels squeamish. What do you think? Not too much to ask, not too specific and detailed and not too reliant on any one way of giving birth or any particular sequence of events. And most importantly not unrealistic, so less room for disappointment! Perhaps if we just re-name this document, we are simply taking the emphasis off the “planning” aspect and freeing up our expectations and reducing the likelihood of being bummed out after our babies are born! If we make sure that women and their partners have an honest and realistic idea of how babies are born, what happens when Mother Nature doesn’t get it quite right, what the options are, what the risks of these options are and how you will be supported through all of this, then we can hope to help them to form more realistic expectations. Let’s encourage them to express these expectations, hopes and fears through a list of Birth Wishes! For more wise words and tips for pregnancy, birth and beyond, please do check out our Online Antenatal Classes.